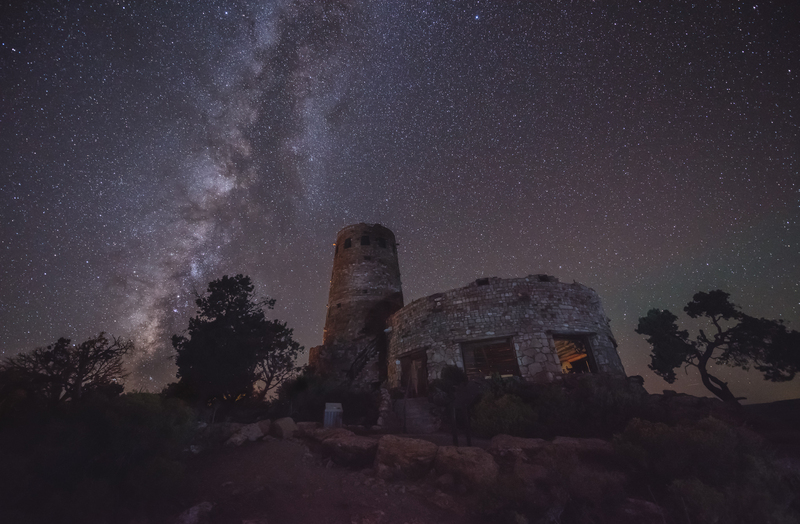 There are indeed great many overlooks on the South rim of Grand Canyon National Park with spectacular views of our Milky way but the sight of it from the Desert view watchtower on the far east side of the rim is much more dramatic. As the sun sunk below the horizon, dark shadows appeared to climb the tower from the ground to the sky. Darkness began to engulf, and through the trees the winds howled. Until the cosmic rays reached the tower turning everything into a picturesque sight. Sometimes you simply witness graceful moments such as this at dark.